Our company provides air conditioning installation in London, Bromley, Croydon & Sevenoaks. Our HVAC contractors in London provide air conditioning system installations maintenance, repairs, servicing throughout Greater London, Kent & Surrey. Air conditioning removes both heat and moisture from any space, residential or commercial. Air conditioning units mostly use a fan to distribute the "conditioned air" to reduce heat and air quality. Like most of the best air conditioning companies in London, we provide a free site survey and design service. Our HVAC installations, maintenance & servicing for commercial shops, offices & residential homes means efficient & cost-effective solutions for you. We install the best custom solution for each and every client from individual air conditioning units. including ceiling cassette, wall mounted, under ceiling, close control and ducted units to fresh air heat recovery units, renewable heating via heat source pumps & MVHR units. As installers of HVAC in London, Kent & Surrey, we offer a great variety of air conditioning systems. These include fresh air ventilation, heat recovery, air source heat pumps, ventilation, ductwork, Lossnay, Ecodan & Mitsubishi electric air conditioning installations. For your peace of mind we also offer a 5 year warranty on all air conditioning units and products. To help make our air conditioning services affordable, we also offer finance options. PDM's air conditioning installations in London have benefitted many offices, shops, flats & houses for over the last 30 years. We've established a great reputation as one of the best air conditioning companies for both reliability & service installing, repairing and maintaining HVAC systems throughout London, Croydon, Bromley, Sevenoaks, Kent and Surrey for both residential and commercial premises. We ensure the air con installation provided is the best solution for your needs and environment. We fit every air conditioning unit professionally and also offer a superb maintenance service, so that your air con is always working efficiently. All air conditioning units are supplied from established manufacturers, the leading names in the HVAC industry, so you know you can rely on their quality, efficiency & effectiveness. The aim of our of air conditioning contractors is to install your Heating, Ventilation and Air Conditioning (HVAC) units with the minimum of fuss and maximum efficiency. Every air conditioning installer is fully trained and qualified to ensure your peace of mind. Contact our installation, repair, servicing and maintenance team today & we can help you get the best air conditioning units installed by our nearest contractor for your residential home, or commercial office / shop. 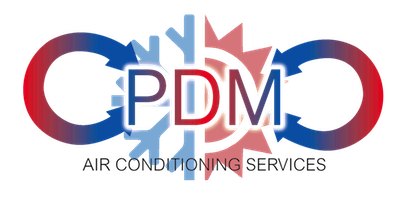 PDM Air Conditioning Services Ltd work for customers over a wide area in and around Greater London, Kent & Surrey. We install residential and commercial air conditioning systems which meet your precise requirements. Wherever you are and whatever you’re looking for, we can help you to add air conditioning to your home, shop or office so you can live more comfortably or help your employees and clients to work in a better, more efficient and productive atmosphere. As well as installations, repairs, maintenance and servicing air con in Central London, we also cover Croydon, Bromley, Sevenoaks, South London, East London, West London, Surrey, Kent & Essex.